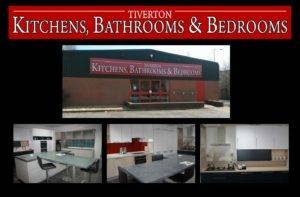 Our showroom in Tiverton plays host to our extensive range of beautiful kitchen and bathroom designs. With our unrivalled knowledge of our brands and products, not only can we provide an excellent design service, but we can answer any questions you may have without a moments hesitation. Come visit us instore within Tiverton, Devon and we will open your eyes to the endless choice of designs, fixtures and appliances we can supply. We are here to help guide you through your design journey from start to finish. Contact us today to find out more about our services and range of designs. For more information about the wide variety of products and services available, do not hesitate to contact our expert team. With a Tiverton based showroom offering a wide selection of products and services in all colours, shapes and sizes, we can ensure to provide you with a solution to your needs.